Lots of women seek out acupuncture to help them get pregnant, but does it really help? Complementary and alternative medical treatments have become very popular for treating and preventing diseases, including the treatment of infertility. This may including vitamins and herbs and treatments such as acupuncture. A number of researchers have found that acupuncture does improve fertility, at least in women who are undergoing IVF treatment, but some have not. In order to figure out what it really going on, a group of doctors in Australia studies 824 women undergoing in vitro fertilization at their clinic. 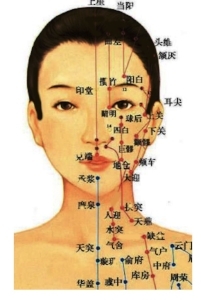 Half got real acupuncture (meaning the needles were placed in the right place according to acupuncture practice guidelines) and in the other half of patients, the needles were placed in locations that were not expected to have any effect. We call this last treatment "sham" acupuncture. They compared outcomes between the two groups. They found out that women who had sham acupuncture were no more likely to get pregnant than those who had acupuncture done correctly. The pregnancy rates in these two groups were almost identical. It is likely that acupuncture does not improve the chances for success with IVF, and if it does, the benefit is likely very small. Were there any benefits to acupuncture in these women? Yes. Women who received acupuncture were more relaxed and had a better sense of well being that those who had only sham acupuncture. This is not a small issue since IVF treatment is very stressful to the couples who are going through it. Knowing this, should I still get acupuncture done? Acupuncture is safe and comforting even if it may not be effective in IVF treatment. Other than the cost if it is not covered, there is really no risk to trying it.